Due to scheduling tomfoolery that can't be excused by myself, CD-R couldn't make it on this week's episode but the AWESOME ONE, Awesome Fabian guests on our humble podcast and he's bringing two ham-fists of awesome movies with him. In a Cult of Muscle first, we review two movies that share the same title so we reviewed the first collaboration between Isaac Florentine and Scott Adkins in Special Forces(2003) and we also look at the French military actioner with Djimoun Hounsou and a couple familiar faces from Inglorious Basterds and that film is Special Forces(2011)! Another titan of podcasting has descended from the great gym on the other side and what better way to bring on our pal Justin Oberholtzer than with a two-fisted slam jam of William Smith! Hollywood Man shows William Smith vs the mob and in Road to Revenge aka Geteven John De Hart steps into the ring and stares William Smith down with those vacant, piercing eyes! We've been dancing around our boy, Steven Seagal, for far too long and so the bayou(?) badass gets his due with a review of Under Siege! If that's not enough, we focus our laser sights on the bleeding edge with the latest Michael Jai White dtv movie Falcon Uprising. Come for Tommy Lee Jones' prototype Two-Face performance and stay for Gary Busey in drag! A couple unlikely challengers step into the Cult of Muscle this week. Alain Delon shows up on the doorstep and he brought his Eurocrime buddies with him in Big Guns aka Tony Arzenta. Then from the depths of the Amsterdam canals come one of the most unlikely genre mashups we've covered on the show and that film is Amsterdamned! 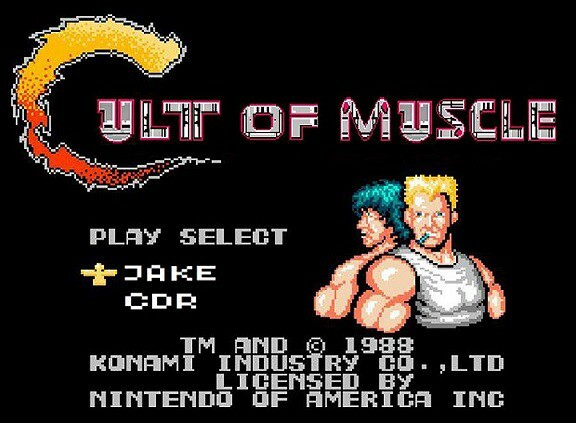 Two of our favorite European filmmakers invade the Cult of Muscle this week. We just can't quit Renny Harlin so we give his criminally underseen Mindhunters the treatment and Paul Verhoeven descends from the rafters with Kevin's digital Bacon in Hollow Man. Also, this episode is dedicated to our favorite Survivor in the sky!